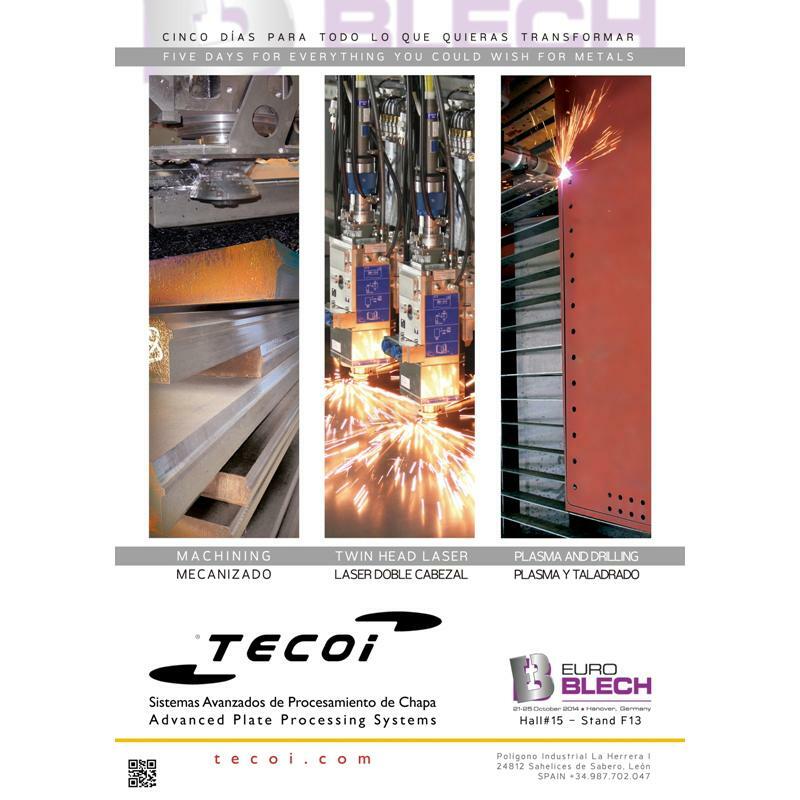 As usual in the last years, TECOI will be present at the EuroBLECH exhibition (Hannover-Germany), the 23rd International Sheet Metal Working Technology Exhibition, with the objective of presenting our new developments. This event will take place from 21st to 25th of October 2014. The highest capacity milling system for welding, the TRF model, designed for welding edge preparation and drilling jobs. The TEKNOS machine model, specifically developed to cut with high definition, high capacity and large dimensions quality requirements. Also, you will be able to see our laser cutting machine LS DISK for large dimensions equipped with the latest technology. We will be deligthed to welcome you in our Stand F13, Hall 15.